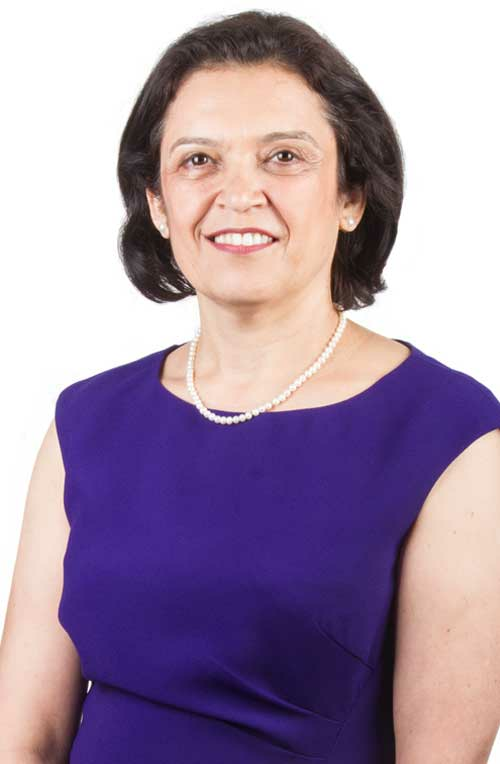 Ranee Thakar is a Subspecialist in Urogynaecology and Consultant Obstetrician and Gynaecologist at Croydon University Hospital as well as a honorary senior lecturer at St George's University of London. She completed her basic medical training in India prior to moving to the UK. She obtained her MRCOG degree in 1994. Subsequently she took up a research post in St George's Hospital and Medical School. The research involved studying bowel, bladder and sexual function following hysterectomy. This led to a landmark paper which was published in the New England Journal of Medicine and to a Doctorate (MD) from the University of London. During 1999 to 2001 she was a subspecialty trainee in urogynaecology under the auspices of Professor Stuart Stanton. She is the President of the International Urogynaecological Association (IUGA) and the South Asia Fellows representative of the RCOG council. She has previously served as the Honorary Secretary of the British Society of Urogynaecology (BSUG) and the chair of the education committee of IUGA. She is a consultant in a busy tertiary referral urogynaecology department at Croydon University Hospital, with a large clinical workload, dealing with complex urogynaecological problems, teaching medical students, training junior doctors and undertaking clinical research. Her publications include many original papers in peer review journals and chapters in books. The Croydon continence team was awarded The UK Continence Team of the year in 2005. Ranee Thakar is actively involved in the conservative and surgical management of pelvic floor disorders (bowel and bladder incontinence, prolapse and sexual dysfunction).